Bug - SharePoint Records Center - Routing Issue: default routing goes to wrong library, not "Unclassified Library"
Why do I need to have an exact match? Why I can't easily change the URL? BUG - Why can't MOSS publishing contributors add new pages? Why does SharePoint change the Modified By field when a publishing workflow is started? 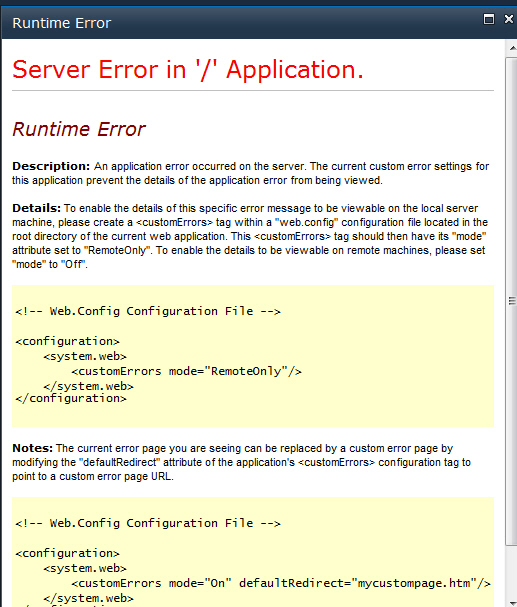 SharePoint Calcuated Field should allow volatile functions like Today and Me. There should be a page name field on the SharePoint page in the edit mode. 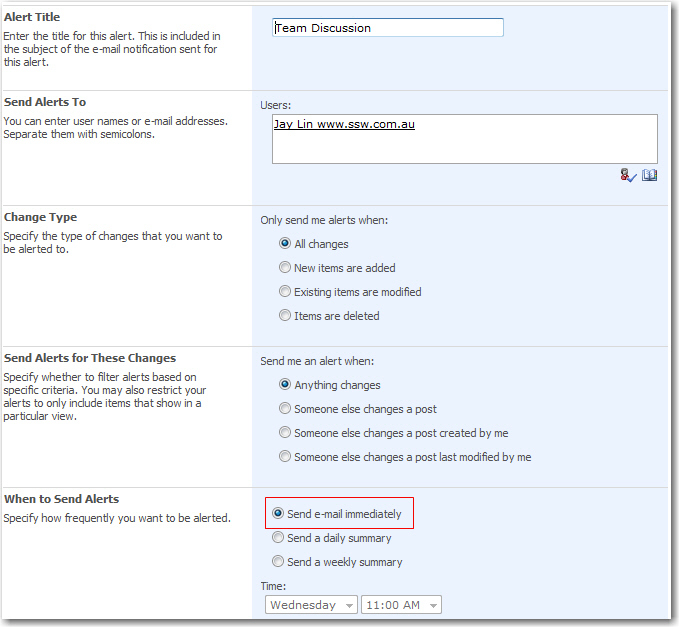 SharePoint 2010 - Add validation to "New Alert"
SharePoint Workspace - How did I end up with 2 workspace shortcuts? Add the version number in the app name (like other programs eg. Word 2010)? Why multiple places of "Site Url" in a BCS Project? CRM, SharePoint and TFS (Web Access) are inconsistent to end users. The different user experience might make users confused. 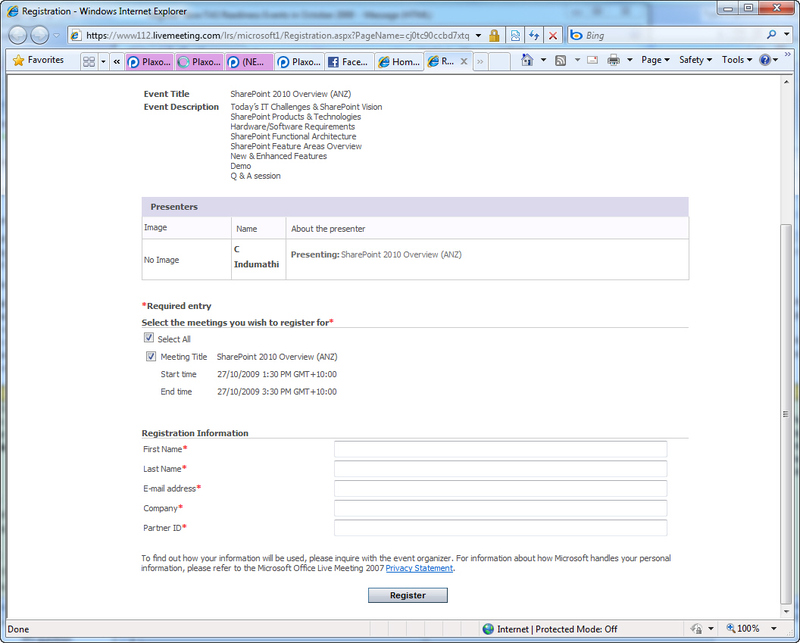 Note: There is an 'Extranet Collaboration Toolkit' for forms based authentication on Microsoft.com - then it is easy to create and manage accounts. This needs to be in the box. How do I mark items as read? How do I read the threads offline? ie. travelling to and from work? 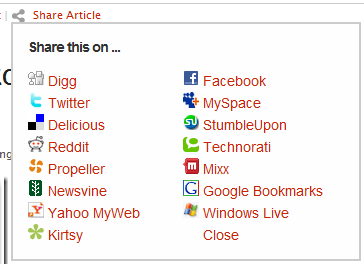 Note: the solution is to come (any list) with an RSS reader eg. RSS Bandit. Discussions are not good enough... really they are aweful - Regular users need a rich client. Only irregular users prefer a browser. So add a button "Offline Discussions" using Click Once of course. I expect both choices... just like I use Outlook 2007 most of the time... but OWA when I am at someone else's PC. 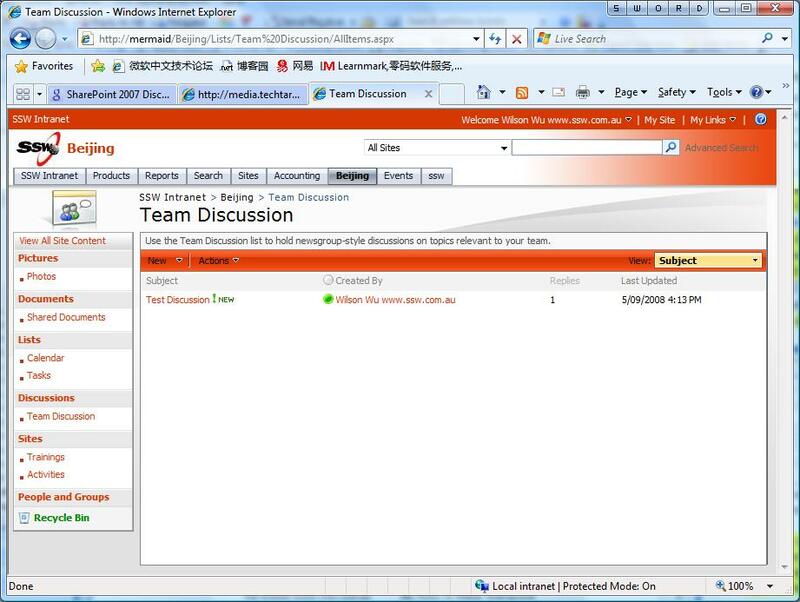 Figure: SharePoint Discussions in 2007 still need lots of improvements. 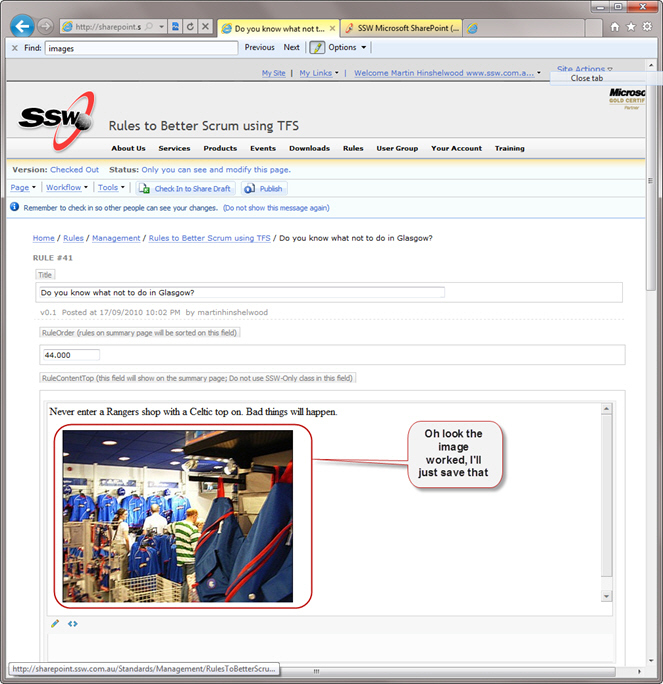 Figure: SharePoint should have an option to show the entire message. Read more about this on Rules to Better Websites - Navigation. 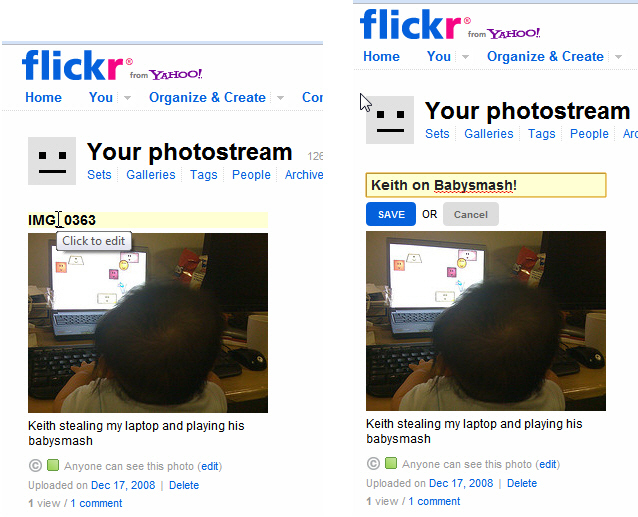 Figure: Attachments are hyperlinks and should be underlined. Users think of Content types as Extended Templates? When you see the last combo on this page it strikes the user as weird. They ask themselves an I only have one type?? Note: You can add multiple content types later and workflows etc. Figure: Add a note for multiple content types. In MOSS 2007 when you export a list to Excel, it is a 1 way sync (any changes made in Excel will be lost). Exporting to Excel from MOSS 2007 should be extended so that it behaves in the same way as VSTS and Excel, i.e. it should be a two way relationship. The main point is that all MS products should be consistent and behave the same way. We don't want to lose the two way behavior though as it is a good feature. 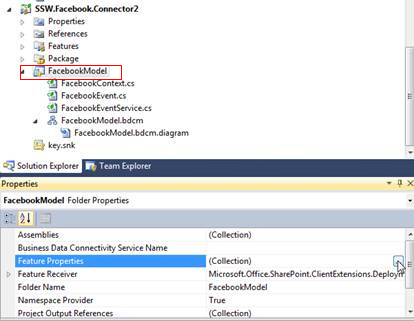 Figure: Connecting to TFS in Excel is should be the same experience as connecting to a SharePoint List. 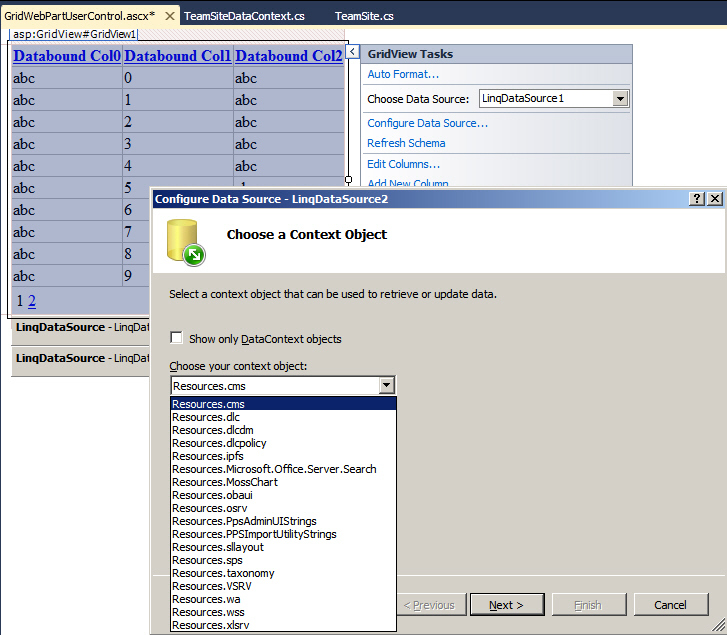 Figure: Connecting to TFS from Excel is a 2 way sync - should be like this when you connect to a SharePoint list. 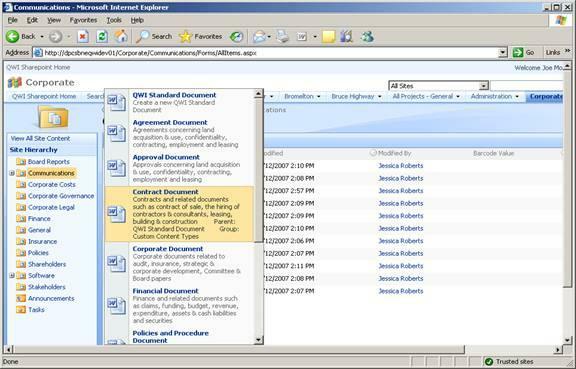 Add a TimeSheet Application to SharePoint 2007 I think companies need a timesheet application built into SharePoint that give a offline experience like Outlook and Access. Too many companies are building their own timesheet applications, SharePoint is not Microsoft's only choice. They could build it into CRM. They could build it into TFS's work items. I don't think this would work as TFS wants you to use Microsoft Project. If they changed their mind and added to TFS work items, then they have another problem. The problem is that we don't want timesheets to only work for a programmer. It should work for accountants, lawyers and engineers. They could build their own product using Silverlight and WPF (SSW would be happy to build this). Fix the scalability issues with Lists/Document libraries performing poorly with more than 2000 items. 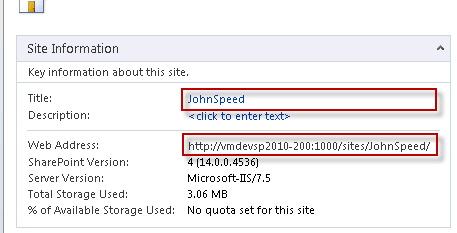 Evidence: http://blogs.msdn.com/sharepoint/archive/2007/07/25/scaling-large-lists.aspx. Suppport file paths longer than 256 characters. 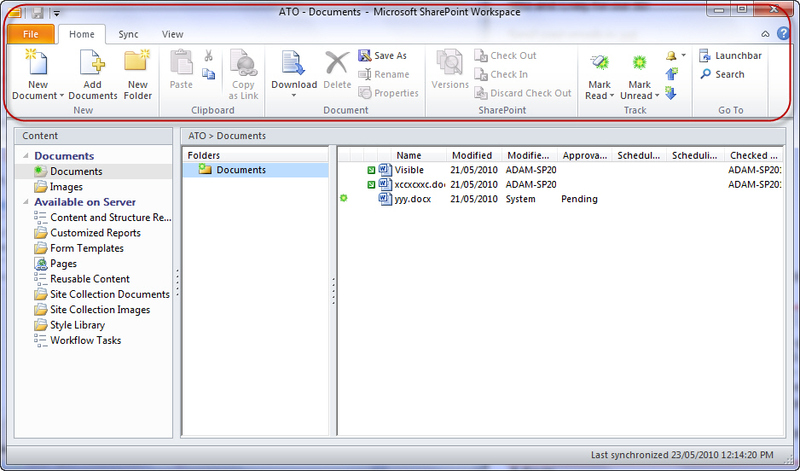 Add support to compare differences in document versions by visually showing the differences. Ability to Save & Restore Custom Views on Libraries/Lists, or create View templates. 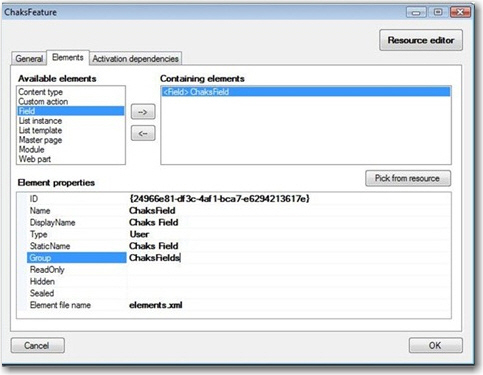 Ability to edit advanced properties of Lists, Libraries, Metadata columns thought the UI. Ability to turn off UI features, such as RSS feeds. 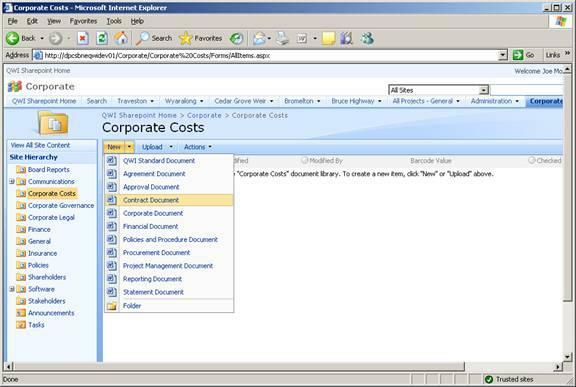 Document Library Content types should allow more than one document template to be used. This is because different templates can sometimes have the same metadata, and we don't necessarily want to prompt the user to select from additional content types when they upload a file. 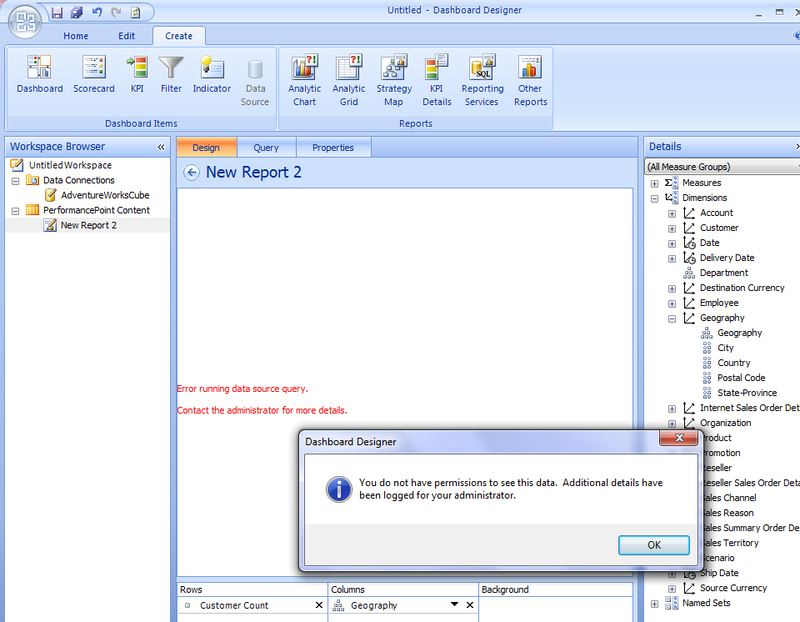 Excel Services should support for drop downs for parameters and other input validations methods. 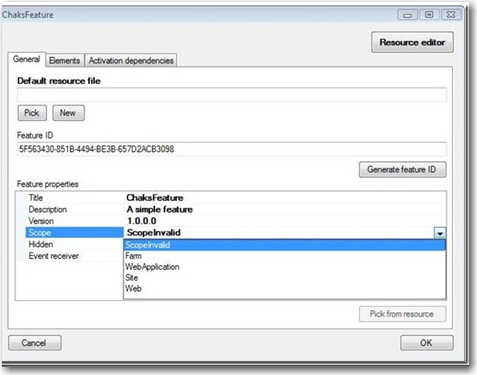 Business Data Catalog should have the ability to launch Winform applications as a BDC action - including command line parameters and/or recorded series of UI interactions. Figure: The default search experience should use yellow highlighting like Outlook 2007 searching does. Figure: The above ugly URLs should be hide. Please add a 'Move to another folder' in the right click menu. 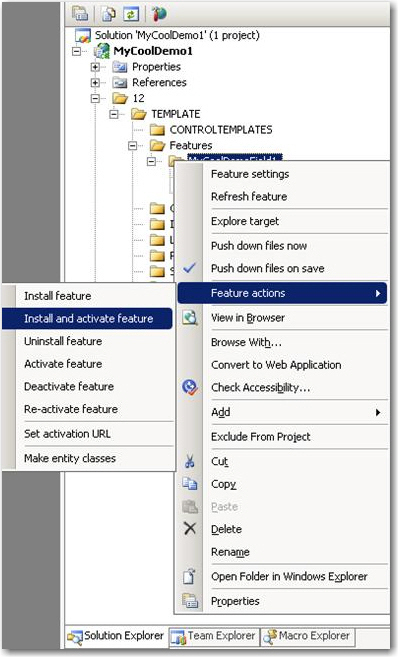 If this is not possible maybe because of security, then open a messagebox with instructions of how to move eg: "To move use click Actions | View in Windows Explorer. You can then copy/paste, drag/drop etc.". 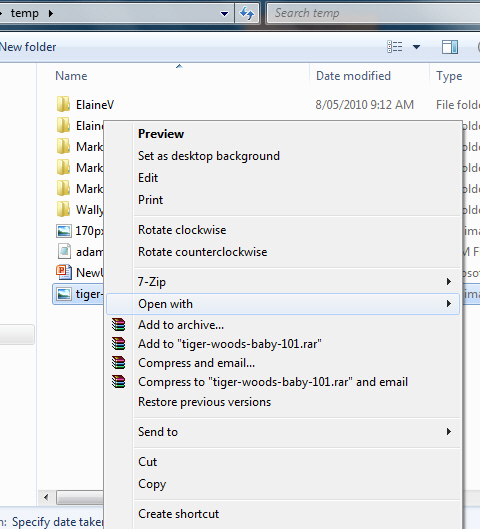 Figure: The right click menu needs a 'Move to another folder' option. 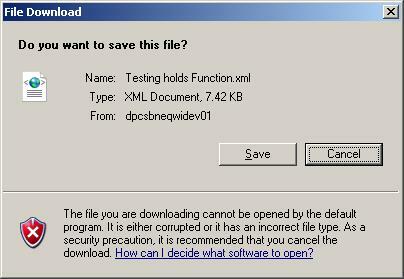 Figure: Run report, but get save file dialog. Figure: After the save file dialog, get the problems dialog. Figure: The document libraries show description. Figure: Other document libraries don't show description. There is no setting for this. 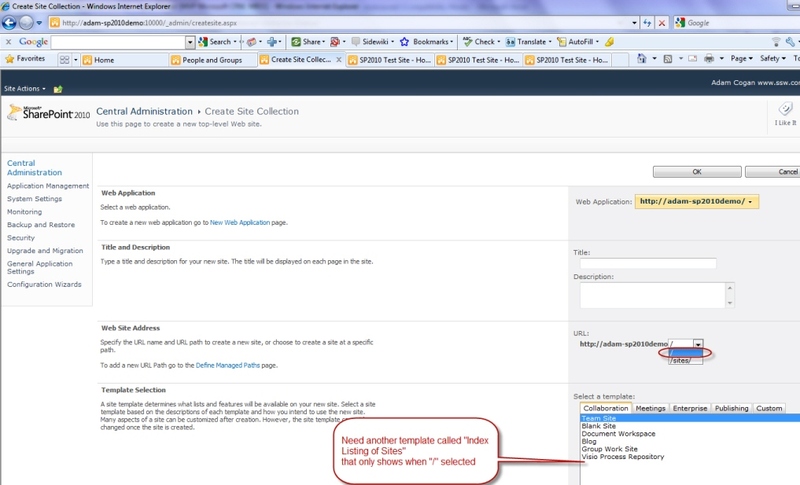 How does SharePoint determine when to show the description? The routing table is configured correctly to route documents into different libraries in the records center. There is an "Unclassified Library", and the site is configured to route documents without a content type (or with an unknown content type) by default into this library. This functionality doesn't work. The documents are moved into a library called "Sales" for some strange unknown reason. 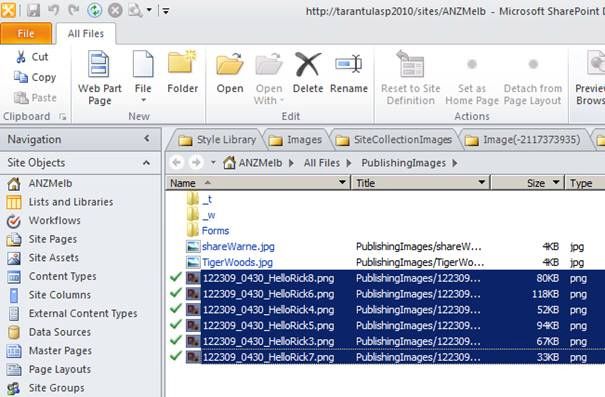 There is IIS URL Rewrite, it fixes incoming links, but once they navigate to another page, it uses the sharepoint links, so you end up with 2 different URLs for the same page. There is also System.Web.Routing (my preference) that MVC uses, but the problem is the same. 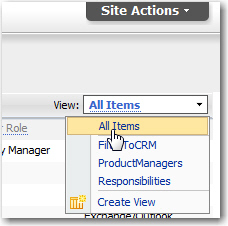 When SharePoint displays a filter in a drop down menu, it should show how many items there are next to each item. We have a rule to better UI Do you include the number of results in comboBoxes? When you add someone to the "< site > members" group they receive the "contribute" permission, which allows them to "view, add and edit elements" in a MOSS publishing site. Except there is a problem - they cannot create new pages in the Pages document library ?when they try, they get a permission denied error. The root of the problem is actually that the contribute user doesn't have permission to "read" the master page gallery. Which means that SharePoint can't list the available page layouts to them on the right. 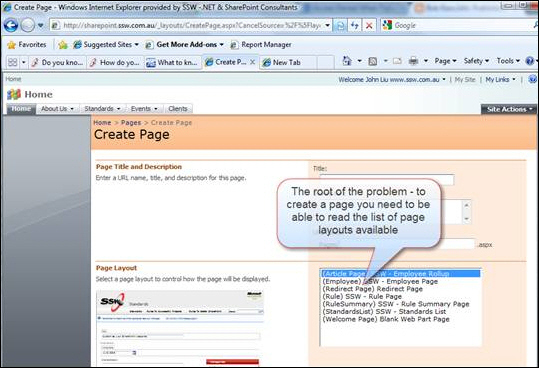 Figure: To create a page, you need to be able to read the list of page layouts available. The Fix is very easy, go to the list settings of the master page gallery, add the contribute group and give them Read permission. 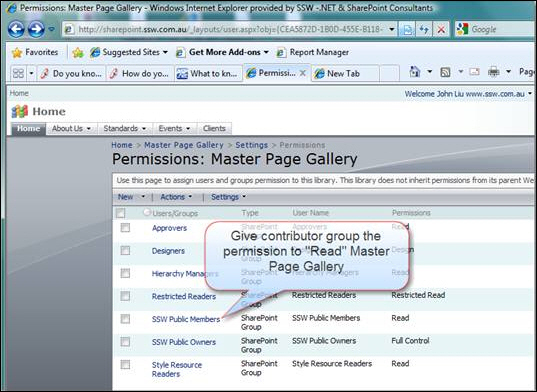 Figure: Granting "SSW Public Members" read permission to the master page gallery. This setting should have been set by default. Edit the name of the list from "Test please history" to "TestPleaseHistory". Create a new list with an appropriate name "TestPleaseHistory"
Import the data to this new list by selecting "Import Spreadsheet"
You need to add the following to your Internet Explorer trusted sites. Otherwise IE will block SharePoint from importing the spreadsheet saying "Error: The specified file is not valid spreadsheet or contains no data to import?" 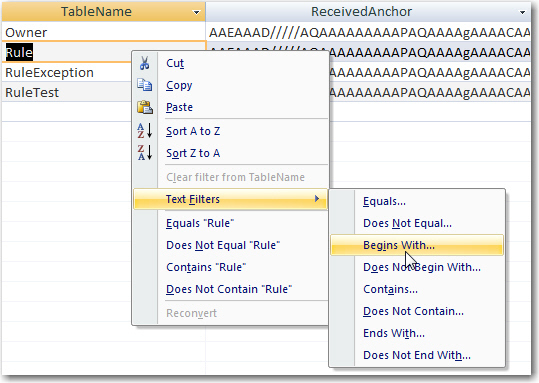 Once the data is imported, you will encounter another problem with column types. The "Person or Group" type is converted to Single line text, "Single line text" and can't be converted back to a "Person or Group" type! Figure: The "Person or Group" type is converted to "Single line of text"
Figure: The type can't be converted to "Person or Group"
zz the affected columns e.g. rename "Testing Requested By" and "Tester Name" to "zzTesting Requested By" and "zzTester Name"
On the page, click Actions | Edit in Datasheet. Figure: Choose "Edit in Datasheet"
Copy from the old columns to the new columns e.g. "zzTesting Requested By" and "zzTester Name" to "Testing Requested By" and "Tester Name"
Now you get the same list with the new URL. That would be a bit hard to display the date including weekday. (see Do you know how to format dates to include the weekday? ). It should be easier for users to show different format of dates. In SharePoint Discussion Board, it allows users to subscribe and get email immediately, daily or weekly if the item has been changed. 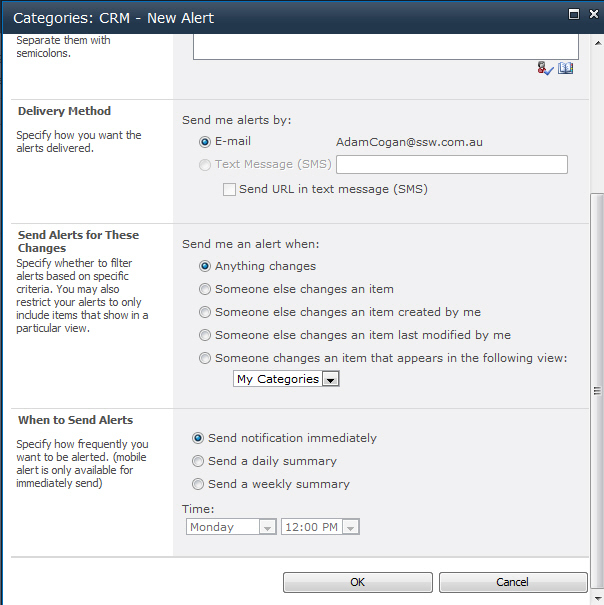 We believe there should be a checkbox to set that pushes an alert to all users who have subscribed to alerts, regardless of the alert frequency. I just had a client refuse to use SharePoint discussion boards because of the ugly URLs. It should just work out of the box. When you start an approval workflow in MOSS publishing site - why does it change the Modify By to "System Account" and clobber the previous person's "Modify By" value? You can't see the person that modified this page anymore. Figure: Bad Example - MOSS publishing workflow changed the Modified By to "System Account". 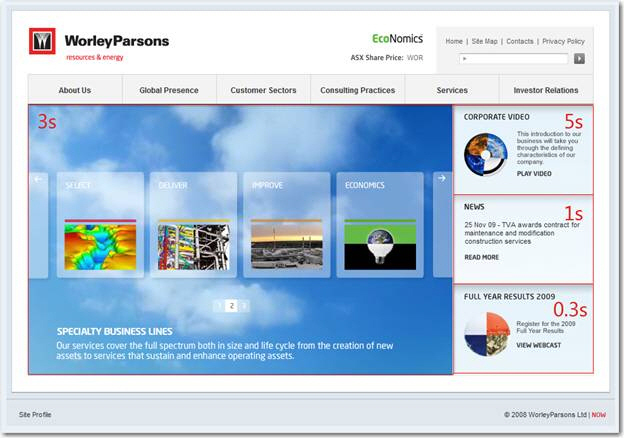 In SharePoint, there is a blog template which enable users to share options based on the intranet. No way to set URL - see our prior suggestion Why I can't easily change the URL? But it isn't officially maintained or supported by Microsoft. 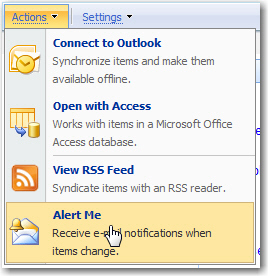 Great integration with Outlook. This enables users to use their email client to post and reply to discussions (without needing to use the browser). 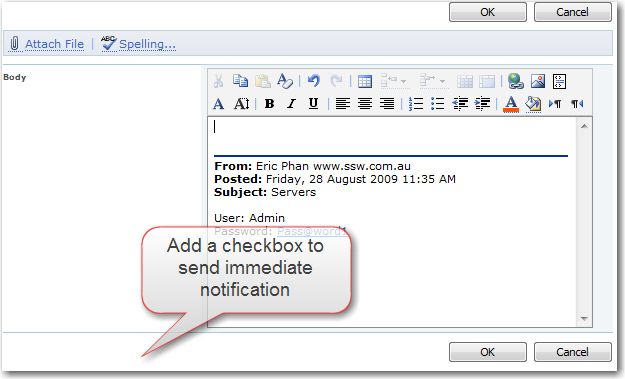 Email notification when there is a new reply (assuming the user or group is subscribed). You can see which topics are the most popular. On a specific post, you can see which answer is the most popular. Figure: Good Example - It is clear the 3rd post is worth reading. StackOverflow does this well. Figure: The prompt should be displayed immediately, as the wait is a large hindrance to productivity. In moss the page title gets changed after an Ajax postback (when Ajax method is invoked). There is a weird bug between the SharePoint title and the Ajax web part. Bug description: In moss the page title gets changed after an Ajax postback (when Ajax method is invoked). Resolution: go to the master page, change the title tag format in same line and without space. The ultimate development tool, is the cool SPVirtualDev http://spvisualdev.codeplex.com/. Q:\ OK, so how does this make your development RAD? A:\ Well let's pretend you want to change a piece of text in the Master Page. What do we need to do? Use VSeWSS to build the package. Plus there are even more benefits to using this tool? Figure: Easy to install and active feature without any scripts. 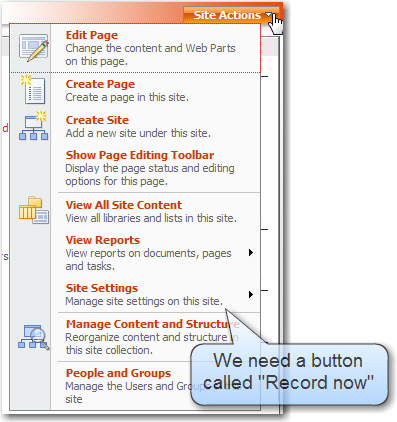 When you customize SharePoint, it's easy, but you can't repeat your customization on other SharePoint site (e.g. Test Server). To repeat it, you have to go with Development, but it's not easy to package up, and hard for the people only understand SharePoint UI to run it. This suggestion solution is to add an button called "ecord Now" in the "Site Actions"
When you click the record Now, it would record all the actions you do until you stop. All actions would be packaged to a Grid (aka List) that you could 'Run' to replay the changes. You could then copy the package to another server to test it. 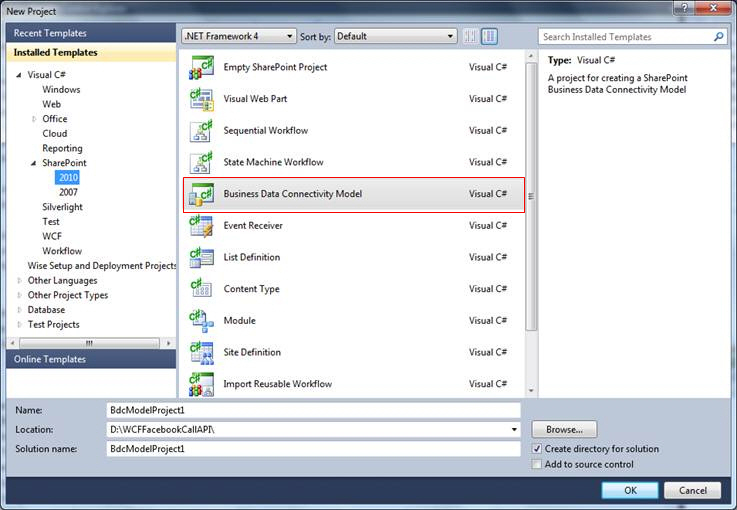 In addition .NET Developers could also copy their packages here to let SharePoint Architects to run them. Note: Even better this could become an "SharePoint App Store", borrowing off the iPhone. 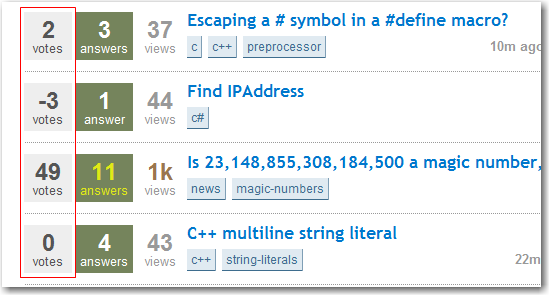 Sometimes, we have to change the format of a view in a list. 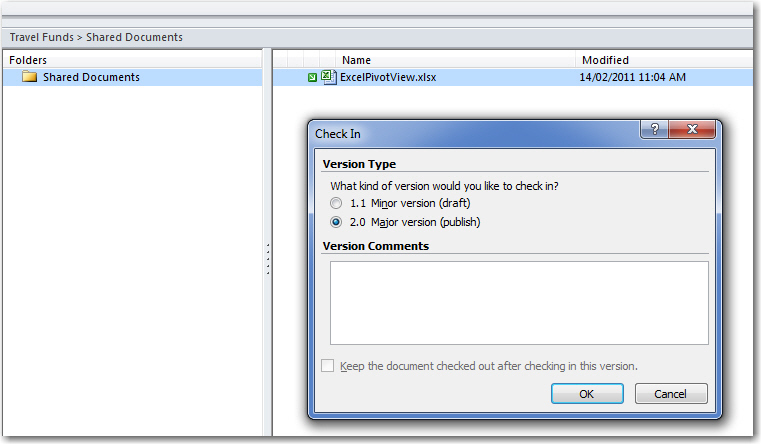 This view is defined in the list schema xml which is hard to read and maintain. A better approach is to write it as aspx. Sure, there are some work-around for this. For example: you can create another dummy field and call it "Today" then add that field name as a place holder to the expression for this calculated field. 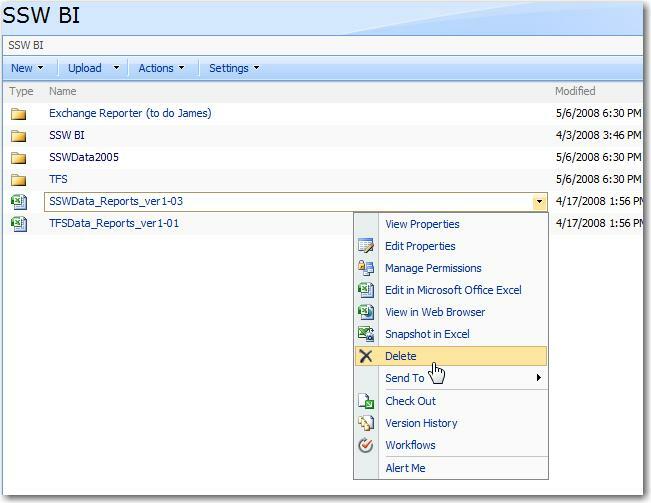 Finally delete the dummy field, SharePoint will do the calcuation for you now. However, this is not perfect because the value is still "static" and it will not change everytime you access the page while the field value can be only updated when you edit and save the item. In "My Sites" I have to click "Save and Close" to find out I've entered the data in the wrong format. There should be a calendar control or a format notice for the date field. Figure: Why is a round trip needed? 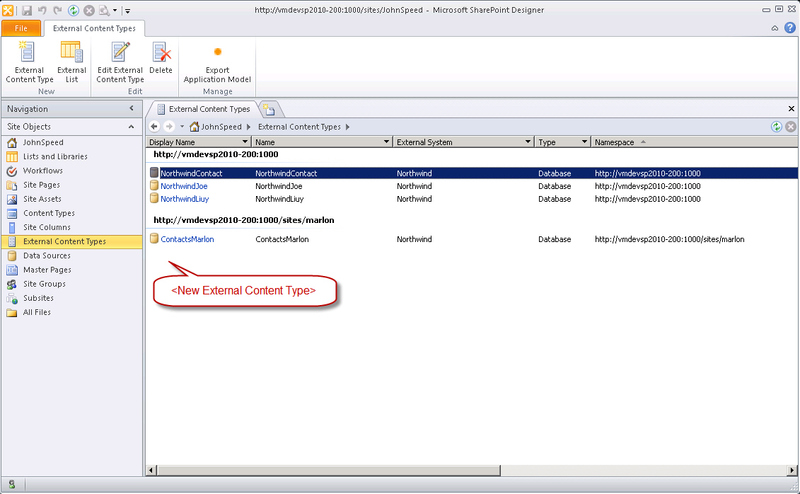 In SharePoint List, there is a default view. If users want to filter or group data, they have to build their own views. To contrast with Access, SharePoint should improve its filter functionality to let users get their data easier. Version History Page should have filter for the unchanged content. For the versiondiff.aspx page as you notice the highlighted section under the IE location, we can see the differences between the different versions of the same page. But sometimes we just only want to see the content that have been changed. At this time, versiondiff.aspx cannot help us. Figure: Only the changes show in the versiondiff.aspx after applying the filter function. There should be a page name field in the SharePoint page in edit mode. 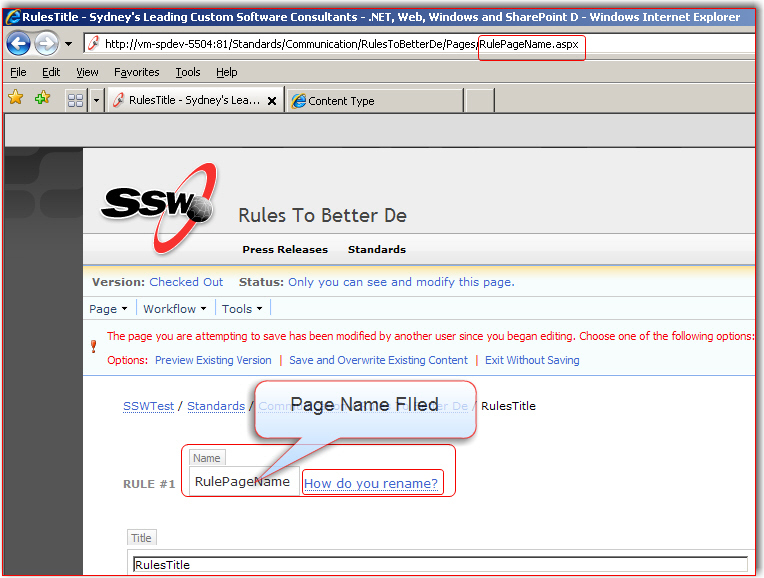 Edit SSW Rule page in the SharePoint, you will find that there is no page name field in the page. Then you cannot modify in this page. Figure:There is page name filed and link to tell the people where to change the name. Why not change the page name field name on this page? After you changed the value of the page name, then check in it, it will redirect to the old page name URL that means "404 page not found error". 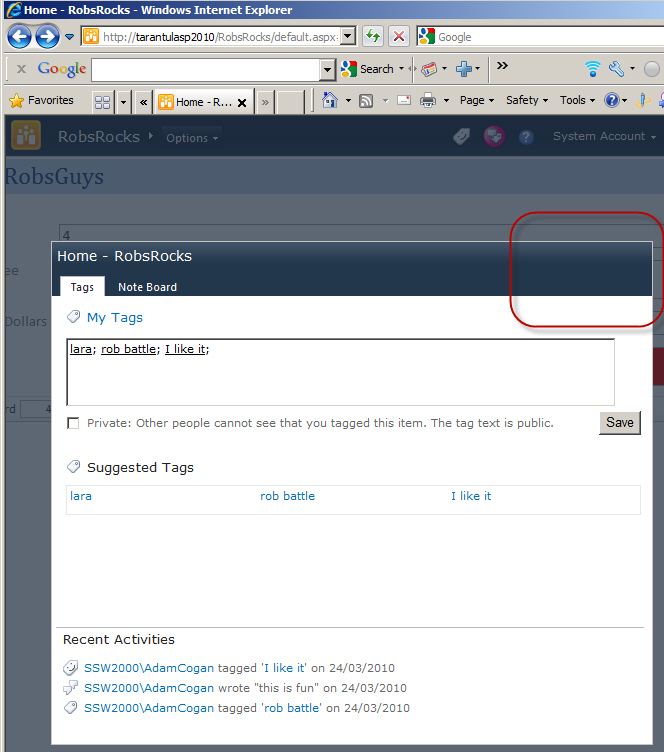 So add the page name field,let it readonly and tell the user where to change the field is better. 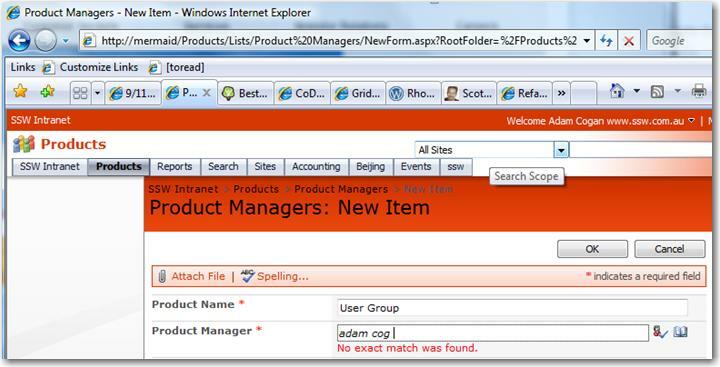 Go to How do you rename a page in sharepoint? for details. Help me get the latest copy, when I know others have been working on the doc. I would love SharePoint to provide an easy way to configure an event?Attending so many events I see the guys struggle at running these. Enter all the details of the event. This gives you a public web portal. 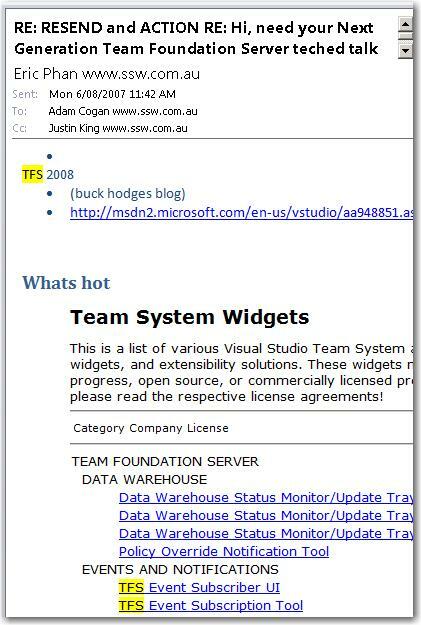 Give it a list of people to email (pump in a list via Excel in the same manner as we use Excel for TFS work items). If they have other clients e.g. 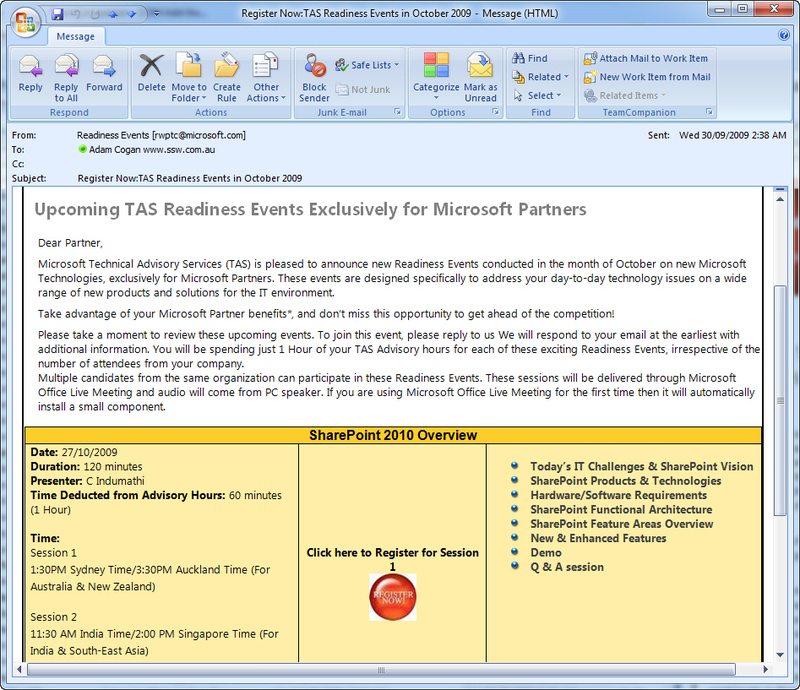 Gmail, they click on the link and go to the SharePoint page - and click Register. 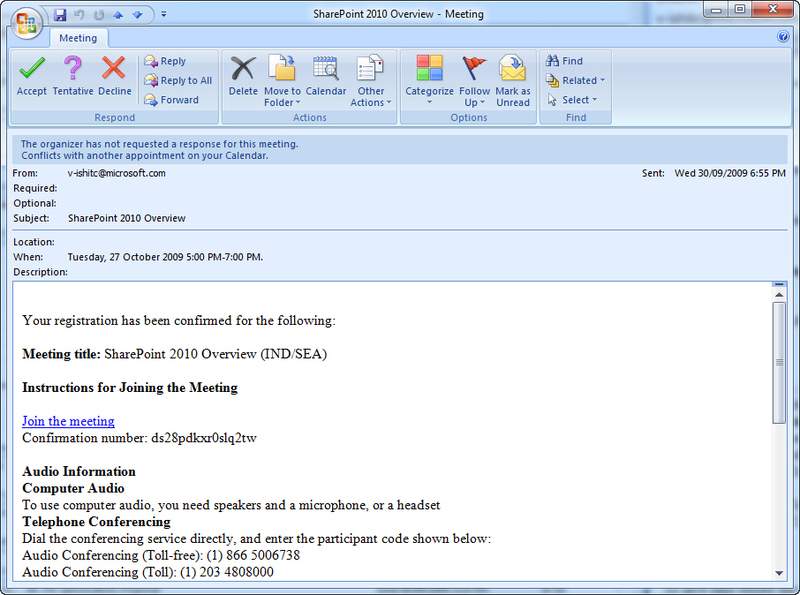 1 minute later, the attendees receive an appointment in their inbox, to accept. PS: Next enhancement would be to give it the list of speakers, and they would receive different emails, a place to put their PPT, etc. Add an extra column to the "Version History" page to show how big a change was made in each version (in number of lines modified or MB changed or something). In this case the editor (Ulysses) clicked on edit just to see what it looked like from an Editor's viewpoint, but there is no indication that there was no significant change. The edits that were not significant should show their records as dimmed. Yep my dreams have not been fulfilled. 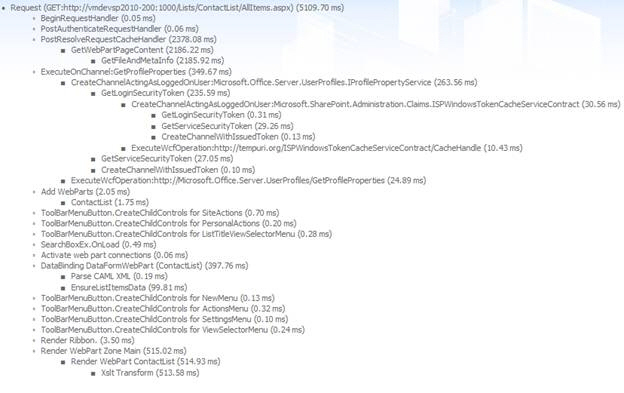 My issues is that SPMetal currently generates a Linq DataContext for *all* lists within a SharePoint site, not a site collection. (aka a SPWeb, not SPSite). I was expecting to be able to choose the lists I wanted. E.g. I can't query the 2 images libraries for say where "Date>LastMonth"
E.g. I can't query ProjectA, ProjectB, ProjectC where "Documents Not Checked In > 7 days"
E.g. 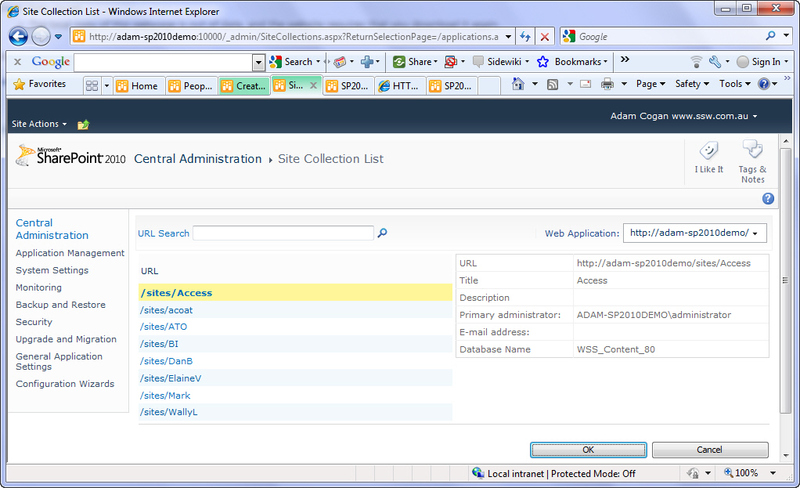 I can't query Adams Documents where "Size>1MB"
This feature 'convert to XHTML' is interesting. Figure: If knowledge workers use 'Convert to XHTML' they will lose their links if they copy average HTML. SharePoint 2010 comes with an awesome developer dashboard, which has very detailed information regarding the loading time of each component on the current page. 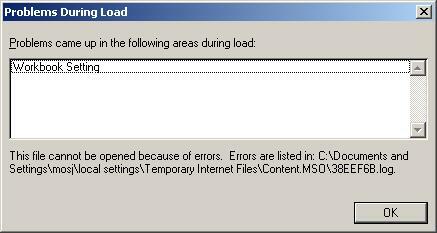 A SharePoint server ran out of disk space and this caused an error when checking out a document. But the error message was not clear enough to let us aware of the real cause. I am happy that I don't have to do CAML anymore. I like how I can generate strongly typed code. ContextTypeName="Northwind.SharePoint.NorthwindDataContext, Northwind.SharePoint, Version=1.0.0.0, Culture=neutral, PublicKeyToken=9d99d0b2ebec5b2a"
What I want is a Right Click Menu "Move"
The new BCS functionality is great.I have noticed a couple of small speed bumps for new users. I have presented it a number of times and I have noticed a number of users don't know how to add a new BCS....?even though they just saw me do it. They know they want to add another record to this list.... but they are lost on how. At that point, they need a <New External Content Type> at the bottom. Imagine a user, they know the concept of a BCS, they just not sure what to do next. I have seen them get stuck. What would that picture look like? That means the UI will be copied by thousands of application designers... Right? Figure: Where will this URL take me? Where do I enter? Where are the white text boxes I am used to? Figure: What the hell? When I click on the blue links (was it meant to look like a hyperlink) it turns into a textbox! Notice: how there are no visual differences between an inline-field and a hyperlink. It is an unintuitive UI at a glance - clicking on a link typically brings a user to a webpage, or at the minimum some form of pop-up, or opening an additional MDI document. Another difference - In web implementations of the inline-field, when the user changes focus the changes are saved immediately. This is not the case for SharePoint designer, the user still has to manually perform the Save operation. Make it a UI standard that we want others to copy. 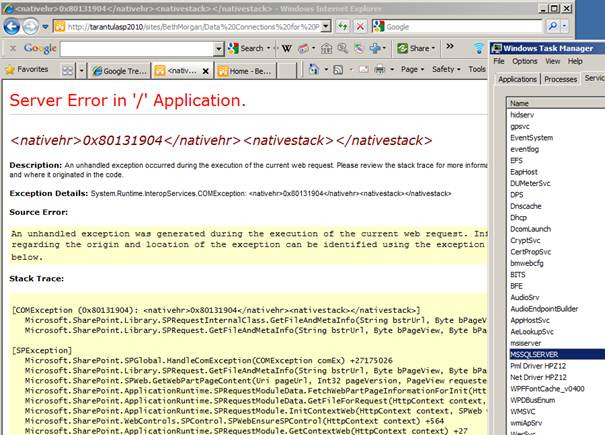 Any chance we can get a Contoso build to install for the SharePoint 2010 RC? Can we get it as an .exe so I can install.... or does it only come on a pre-made VM? PS: I also wish we had 'Northwind for TFS', 'Northwind for CRM' etc. This is a general question... is this a good error message for when the SQL service is stopped? Do you guys go to the trouble to giving more meaningful error messages when the database is unavailable? Yes,I have turned off custom errors on this machine. Nothing helps me identify this common problem quickly. 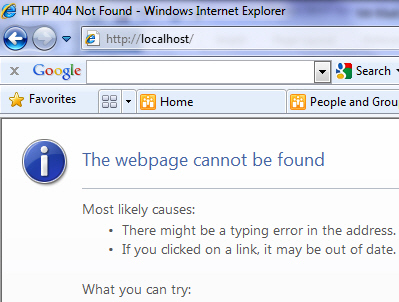 Please add to the backlog 'Help check SharePoint 2010 error messages are helpful'? I enjoy SharePoint 2010. Obviously the team have done a lot, but there are a lot of holes in the product. I understand that the team had to cut bits and pieces because getting over the testing bar couldn't be done in the time. I love how the TFS team gives us a package of little extras in 'TFS Power Tools'... these don't need quite the amount of testing, but almost every customer of mine tests and then installs them. Would you consider doing the same for SharePoint? A little one, but I would like to understand the reason... There is something weird with the windows that I have never seen with any other app... when you use Snagit (and the Window option) it will only let you select the top section (see red square) - not the whole window. I am on a beautiful SharePoint 2010 box. I want to see all the sites on it. 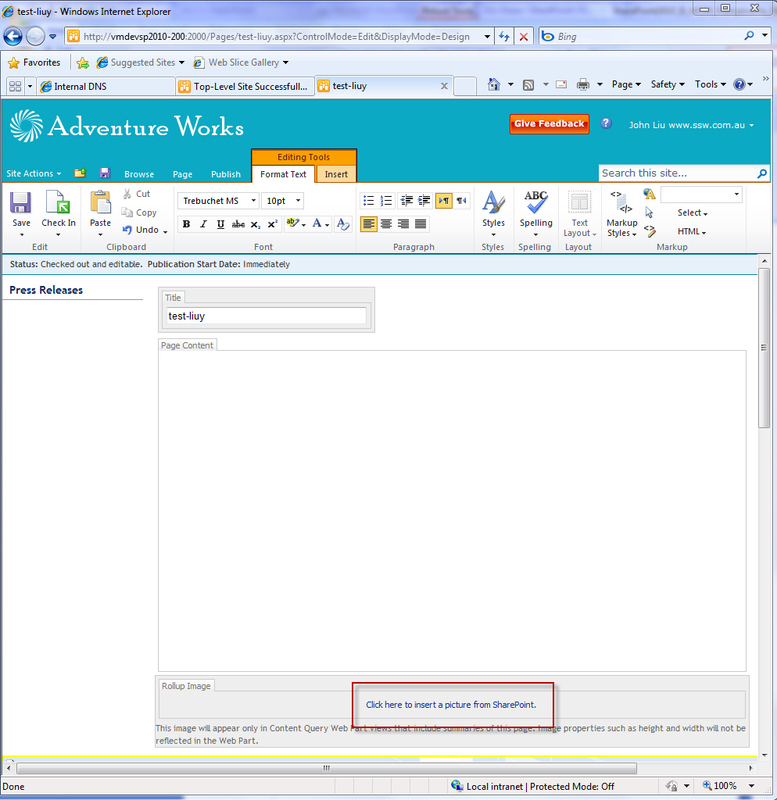 The problem is that 'Data Connection' called 'AdventureWorksCube' has a pencil. I need to save it. Tried too many other things before I worked that out. Wiki has nice notification functionality, but missing some validation. 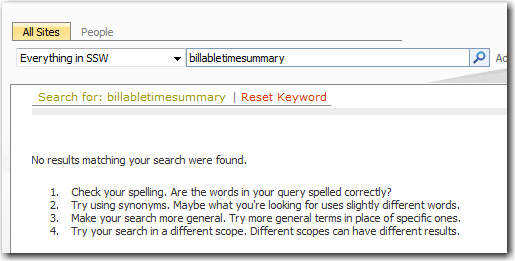 SharePoint 2010 Wiki's assumes the same text in first 3 and offers no way of editing the 'Meta Description' tag. This is an incorrect assumption and should be fixed in SP1 (if Microsoft wants to get it used in the CMS world). Many people like writing their content offline and then pasting it into the web. 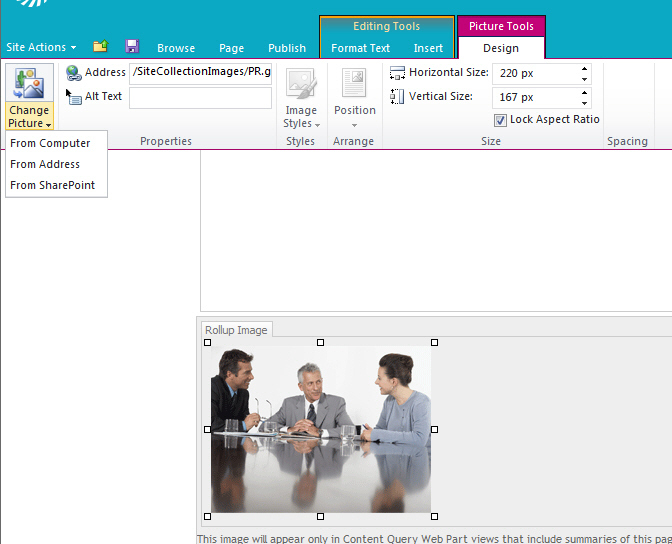 SharePoint does not allow this and the images are lost when you paste into a content area. Figure: I don't think that path will work! If you look closely you will see that it is using a local file system path without warning. This is very bad as every time the user tries to fix this page he will see that image works and think there are no problems. "Click here to insert a picture"
Figure: Less is more. Remove the words "Click here to"
The second problem is you loose the 3 choices you get on the ribbon bar. 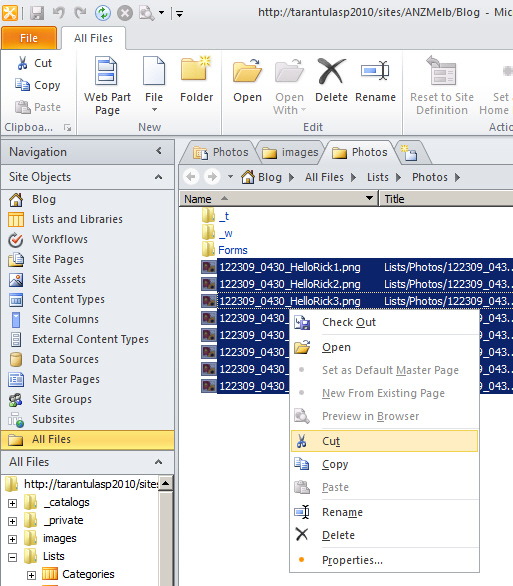 Notice, that once you have inserted the image control using the hyperlink above, the ribbon bar now allows you to use the 3 nicer options such as "Change Picture From Computer"
More and more knowledge workers are moving from Microsoft Word to SharePoint. 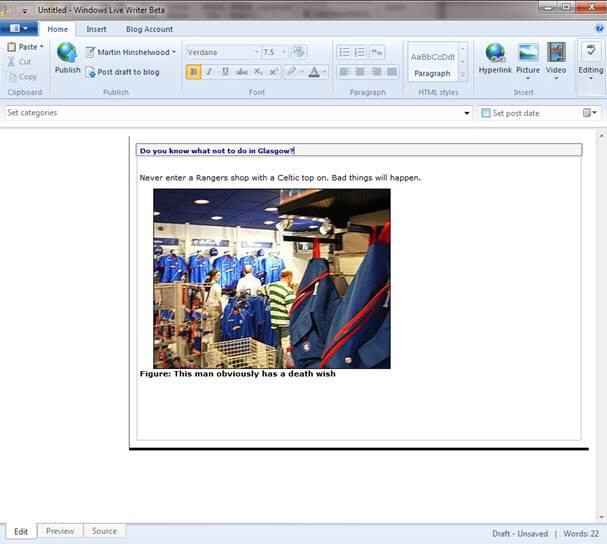 Word has always has simple captions on figures. It is a shame that SharePoint 2010 does not use ClickOnce technology, and instead tells every user to download it (at large size of 260MB). 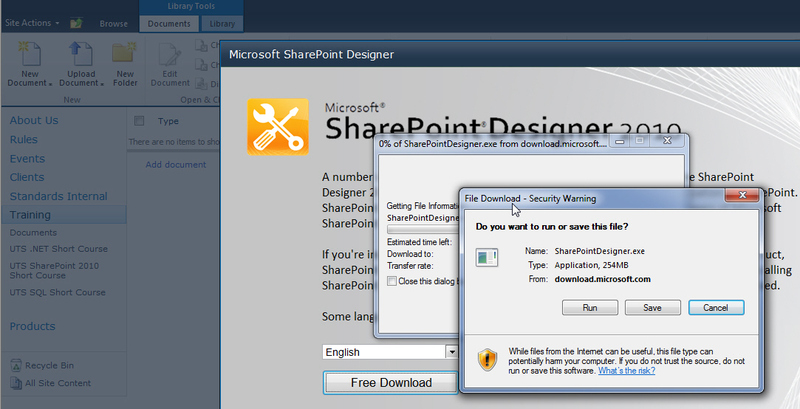 When you go Site Actions | Edit in SharePoint Designer, you are prompted to download SharePointDesigner.exe from Microsoft.com. It would be better if the installer files are put on the server so users can install it using ClickOnce. In addition see point 3 in the table of the rule Do you know whether you should use Click Once or MSI , basically if an application is used for the web, it should be using ClickOnce to install. The SharePoint Designer installer file should be clearer. I would like to see the version and platform added. We have a rule about this Do you include version numbers in your setup filename? I would be handy to publish files to higher versions directly from Microsoft SharePoint Workspace. 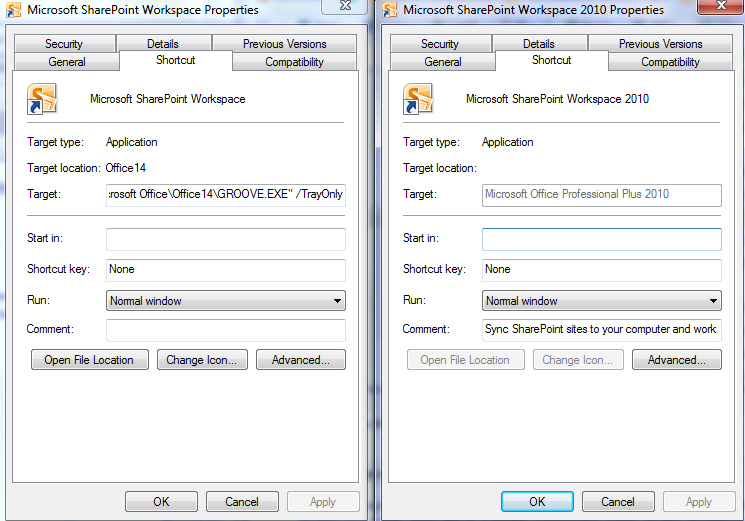 When you check-in via "SharePoint Workspace", you have the option of publishing, but not in Office itself. It's a good news for us that SharePoint 2010 already has Rating functionality by default, but we find that it's not flexible enough when we are trying to use it. We cannot add two rating controls to a list, currently one list could only use one rating, it should be able to add multiple ratings to one list. 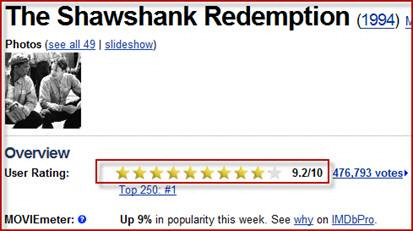 We cannot change the number of stars which is 5 by default, the number of the stars should be able to be customized. "This page is modified from the site definition." This really caused me some grief... and it is not even easy to recall once you know. I suggest centralizing the 'Site Url' in one place to avoid the potential problem when I change the "Site Url" in project properties. 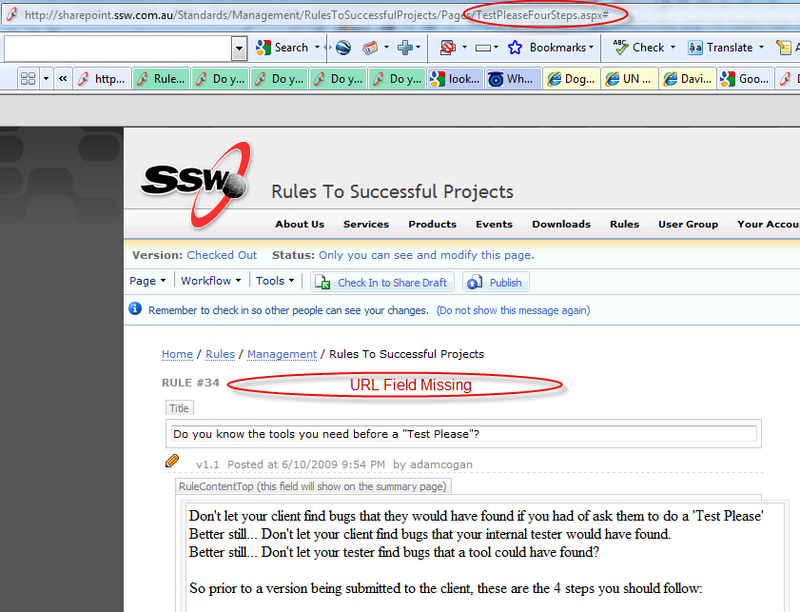 I believe it is quite redundant and risky to have two "SiteUrl" properties in one project. 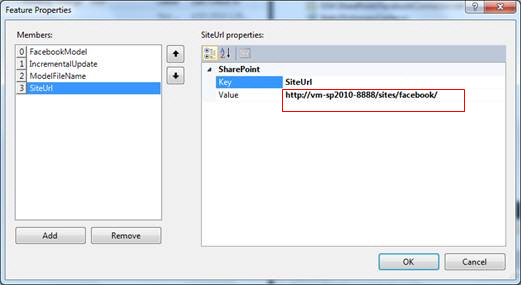 Suggestion 1: Proper fix for SharePoint 2012 - Can you centralize the 'Site Url' in one place (at the project level) to avoid the nasty problems when changing the "Site Url" in project properties. Suggestion 2: Quick fix for Service Pack - Give a messagebox warning when you change either "Site Url" so no one has to go through what I did. 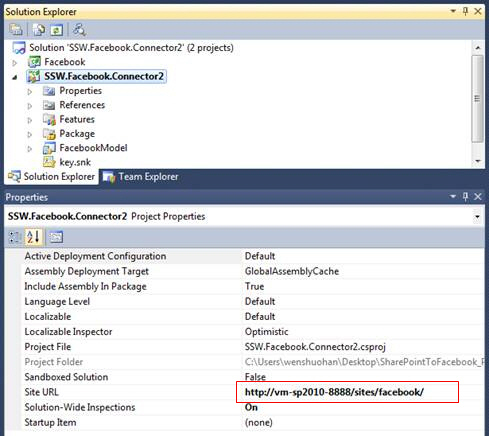 SharePoint 2013 supports friendly althernative URL, which is a good feature. Figure - classical URL "claimingexpress.aspx" has been changed to claimingexpress-aspx"
Change "Friendly URL" to "Alternative URL", make it support character ". ", so it can be used widely.